Ben and I stopped at the archery range on the way to the grocery store. 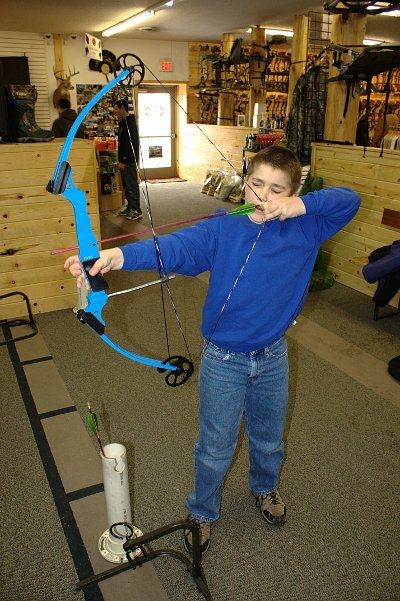 Ben was pretty excited to try out the compound bow that he got for x-mas. By the end of our time at the range today he had a couple of more accessories: wrist release, peep sight, and a pin sight. 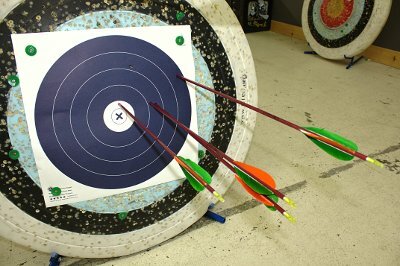 After getting the bow sighted in he was shooting some tight patterns.